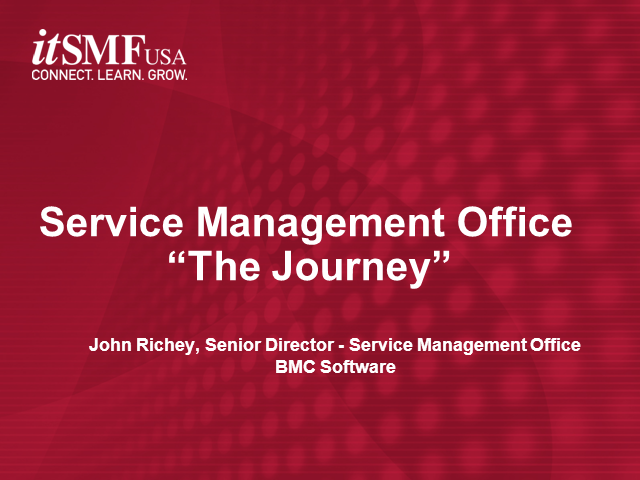 Join John Richie, from BMC Software, as he takes us through a "real life" service management transformation story over the course of 24 months. The journey takes the participants through inception to completion of a Service Management Office. It brings to life the service management situation prior to implementing the SMO as well as the transformation plan to establish a Service Management Office. John will outline good practices, lessons learned and benefits that have been a result of the Service Management Office. Come benefit from their journey!